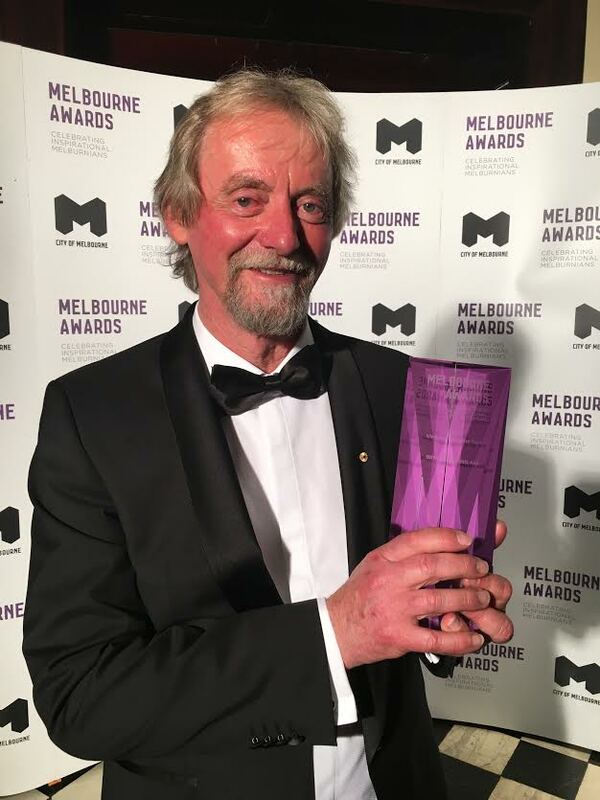 After a lifetime of working to ensure that elderly people have a place to call home, Bryan Lipmann has been recognised as Melburnian of the Year. Lipmann is this week’s Changemaker. He spoke to Xavier Smerdon. Bryan Lipmann views homelessness as one of the most damaging things a person can experience. After witnessing people struggling to access the same services his own father was benefiting from, Lipmann became frustrated. Now 26 years later he is still in charge of the Not for Profit that he set up then to tackle the issue. Wintringham Specialist Aged Care is now the largest older person’s service for homeless people in Australia and Lipmann is officially the Melburnian of the Year. 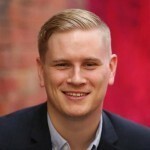 As this week’s Changemaker, he explains what continues to drive him to make a difference and what other people can learn from his experience. Tell me a bit about Wintringham and what you do there? Wintringham is an organisation I set up in 1989 after working in homeless person’s night shelters. I saw there a lot of frail elderly people not able to get into aged care. At the same time my dad was getting into aged care and I couldn’t understand why homeless people couldn't get into mainstream aged care. I tried to get them in and it wasn’t successful so in the end I left and setup this new organisation, named after a homeless person, Tiny Wintringham. The idea was just simply to get homeless or very poor people who are living in homeless person’s shelters out of that and into aged care. As a result it was a long journey. For the first two years I was the only employee but now we have about 600 and we work in all forms of aged care, nursing homes, we’ve built nursing homes, we’ve built hostels, we’ve built housing. We’ve got about 500 to 600 houses, we’ve got about 700 to 800 aged care packages, and we do a lot of outreach work. But all of our work is with elderly poor people who are at risk of becoming homeless or who are in fact homeless. Usually about 1800 a night. And we have 1700 on our waiting list just for housing. There’s no housing in Melbourne, it all goes to people who have got money. With 1700 people on your waiting list, does it frustrate you to see that number. Are you constantly working to try to make it lower? Of course, absolutely. What we need is more housing, but that seems to be very difficult to get the money to build it. Certainly we’ve got the expertise to build it and I’m hopeful that this will raise the profile a little bit of the amount of elderly people who are in desperate need of housing. We hear a lot about younger people finding it very difficult to get into the housing market, well you can only imagine how hard it is for old pensioners. The rent for the accommodation that they are living in is increasing so they end up destitute with nowhere to live. It’s a massive shortage. Can you explain some of the side effects of being homeless as they relate to older people? I guess the point to make is that homelessness is a hell of a lot more than the stereotypical image of just a street person. A lot of people are now at great risk of being homeless, or at least living in very, very poor circumstances, because they can no longer afford their housing. A lot of these people would be fairly ordinary elderly people, pensioners, who have fallen on hard times. A lot of them aren’t by any means the image that people have of homelessness. But there’s no doubt the longer you are homeless the shorter you live. It ages people prematurely. You can only imagine yourself, if you’re sick you see a doctor to help, you’ve got a wife or a husband or kids to help you, but if you’ve got no one and you’re frail and you’re tired and you’re frightened and you’re sick, it’s a powerful cocktail. You’ve been running since 1989. Did you think you’d still be doing it in 2015? I didn’t even know if I’d be alive. I had no idea. I never even thought of it. It’s a life’s journey and I’ll do it for a long time. I didn’t think about that, I was thinking more about trying to keep the company viable. If you know anything about aged care it’s all funded through accommodation bonds so most of our people can’t pay anything. It flies in the face of accepted economic wisdom that Wintringham could survive, and so obviously all my energies went into keeping it afloat. What did you do before Wintringham? I was a shearer, a slaughterman and a jackaroo. I did that for about 15 years all around Australia and then I came back to Melbourne and I retrained to become a social worker and I landed at Gordon House, the homeless person’s night shelter. I was there for about two years and then I set up Wintringham. Melburnian of the Year, how did it feel to win that award? It’s amazing. It’s great for the whole organisation, not just me. I just had a staff member on the phone saying how thrilled they and their clients are. It reflects on all of us. Also, I think it reflects on Melbourne that it’s a mature enough society that someone who works in homelessness should get this award. I think they would probably normally go to well known people in sports, entertainment or the arts, but for it to go to someone who’s worked all their life in homelessness I think that’s great. You’ve been doing this for a long time. What is it that inspires you to keep on working in this field? I’ve often thought that working in homelessness is a bit like a drug. You’ll either last a month or you’ll last your life. You meet the most fantastic people. But I guess it’s got to align to your sense of social justice, which it clearly aligns to mine. I think the other thing is I was given some really good advice when I had just started off by an older woman, and she told me “just stay Bryan, just stay”. I guess what she was trying to say was that so many people pass through the lives of homeless people, particularly workers, and they go from pillar to post, they’ve got no one to really call on. By staying I see people and I stay with them. Even though I might not personally have a lot to do with them nowadays, they know that I’m still around and I think that’s really important for them to have some stability. It’s the same for our staff, they stay. It’s terribly important because our clients don’t have family and we become their family. I guess our working model is the exact opposite of what they teach in social work schools. We actually try to become their family. We try to get involved. We have to maintain our professionalism of course but we have to also be cognisant of the fact that a lot of them actually don’t have sons and daughters to advocate for them. They are actually alone so we need to be with them. Have you got another 26 years in you? In 26 years I’d be well into my 90s. I’ll give it ago, give me a call in 26 years. No, obviously I won’t be here. You can’t run a business this big. It’s very important that the company continues and the Board and myself are working through a process of transition but I don’t know when that will happen. We do have to be careful though that the unique nature of Wintringham survives. We’re the largest older person’s service for homeless people in the country, not just in Melbourne. We have a bit of a reputation for advocacy and social justice. Our staff stay and they’re terribly loyal so all of that needs to be factored into the next 26 years for whoever’s running it. What advice would you give to other people who see an issue as you did and want to make a difference? Jump in. Do it. Don’t be frightened of the consequences. You’ll regret it for the rest of your life if you don’t have a go. Believe in yourself too. You’ll probably find you’ve got resources that you never knew you had. I’ve certainly learnt things about myself which I had no idea of. I think you’ve also got to delegate. One of my secrets is that I’m quite happy to employ people smarter than me. I think a lot of CEOs struggle with that idea. Anything I don’t know how to do I just delegate and I stick to the things that I’m good at. That means that people stay and they take ownership of their job, they take great pride in fixing it up. I think all of that’s pretty important. Nothing ever happens to shrinking violets, particularly if you want to work in an area that is not well looked after. In homelessness you’ve got to be willing to fight. In fact, you got to want to fight, you’ve got to enjoy the fight. I imagine it would be the same for any minority group, if you want to advocate for them you need to have a great empathy for them and it’s got to align with every cell in your body. You’ve got to believe passionately in social justice and follow it through.